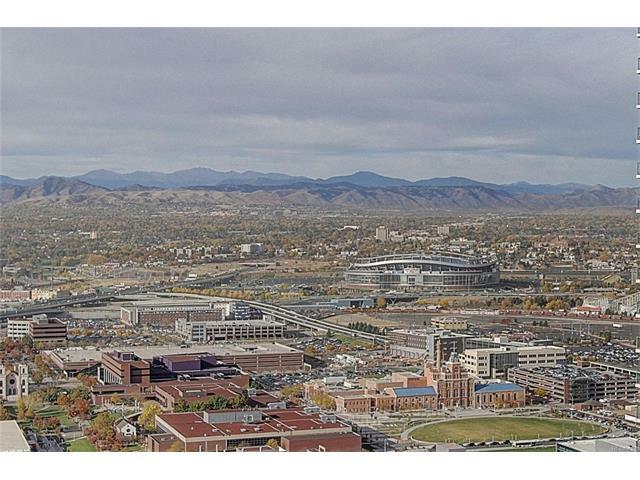 Uplifting and Spectacular Views Of The Front Range From The 42nd Floor. 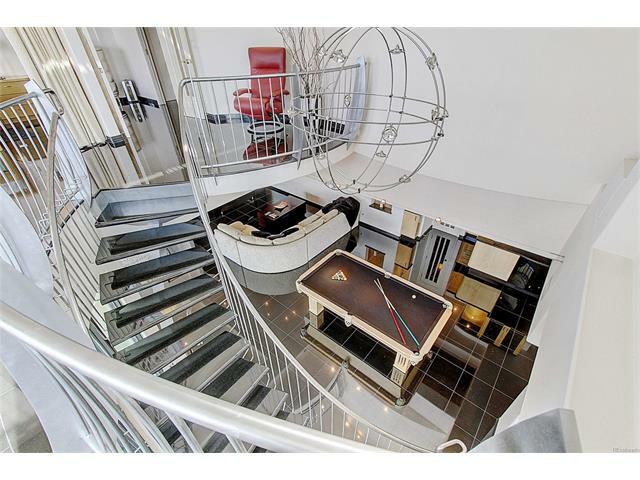 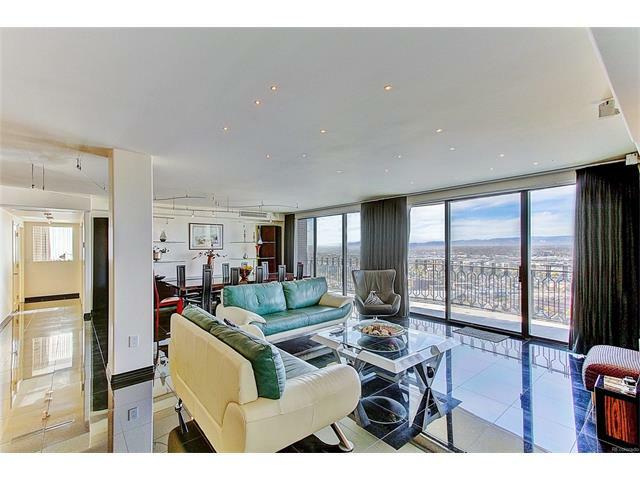 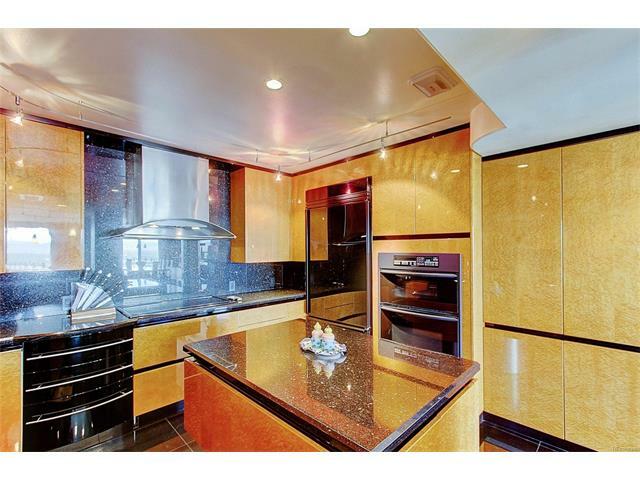 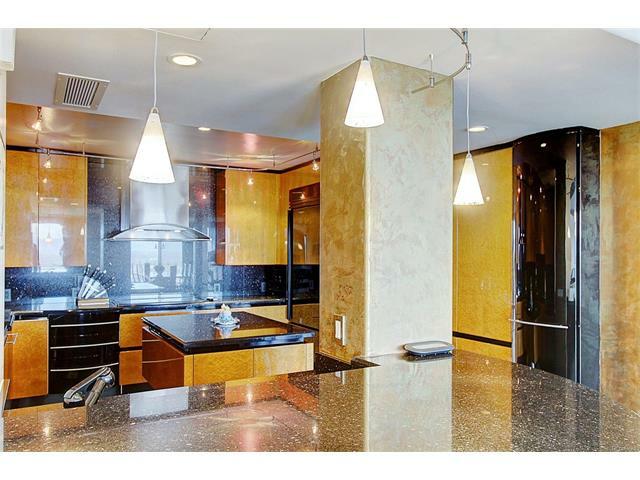 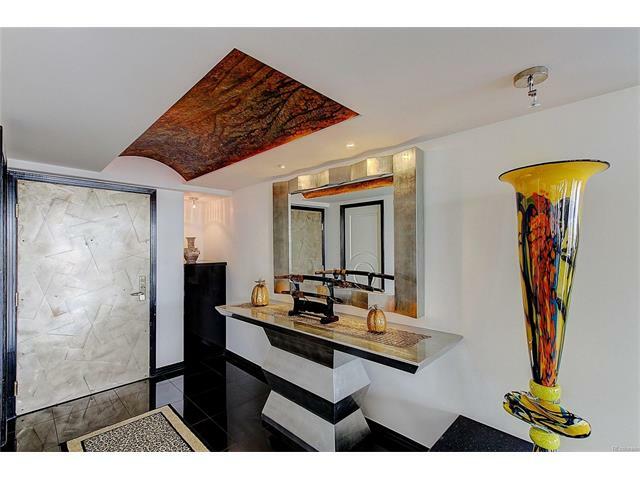 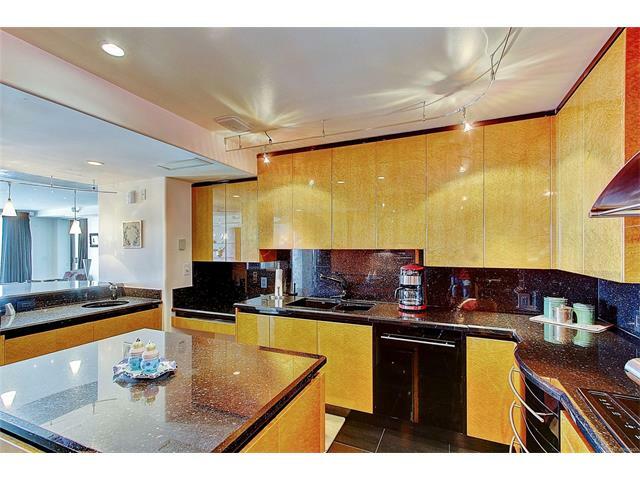 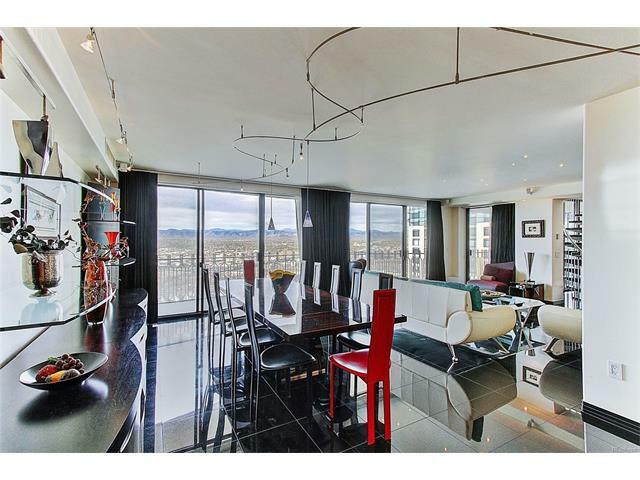 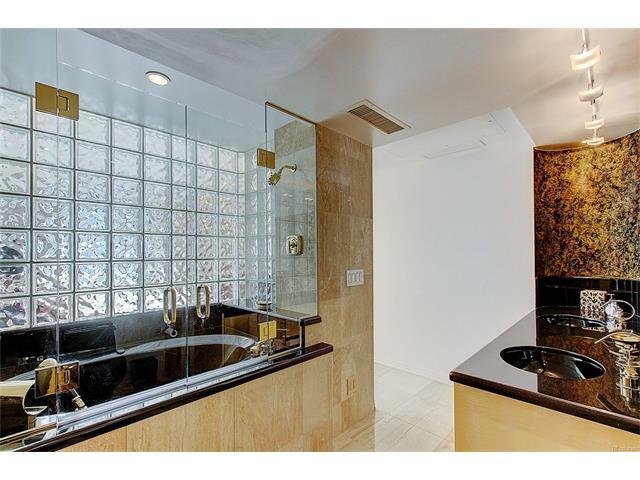 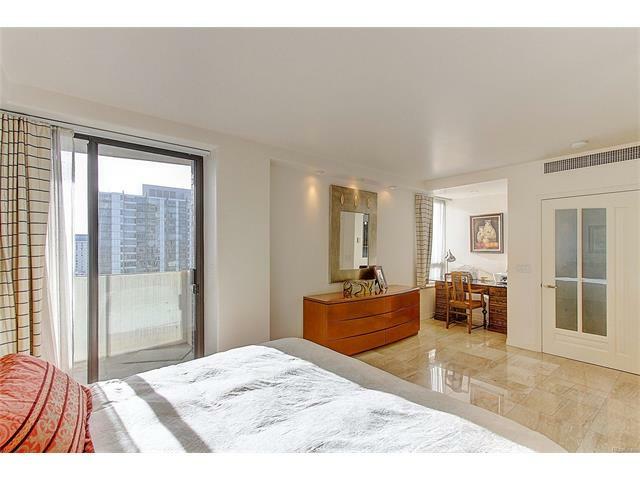 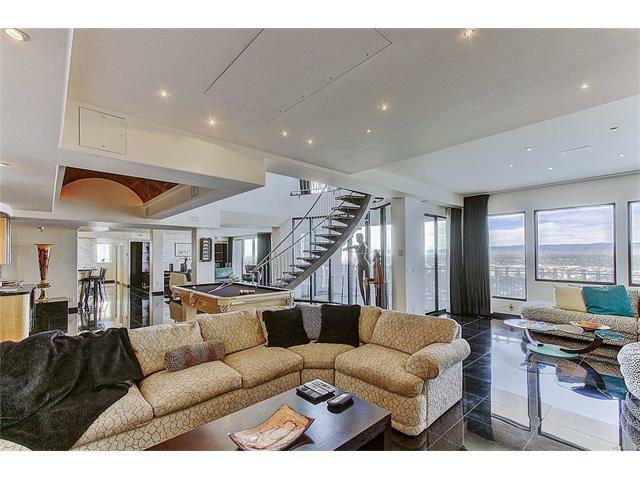 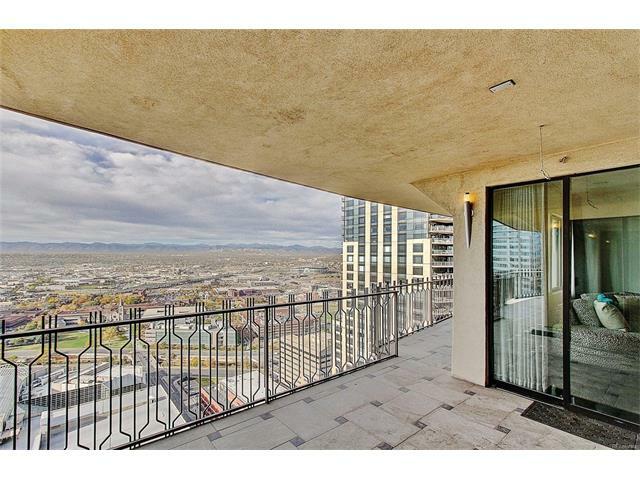 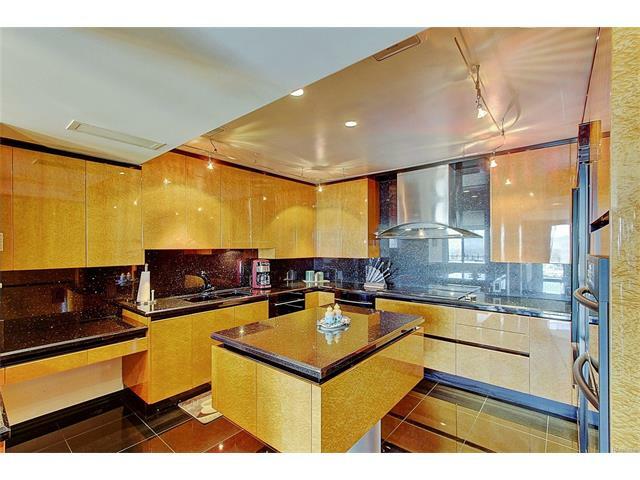 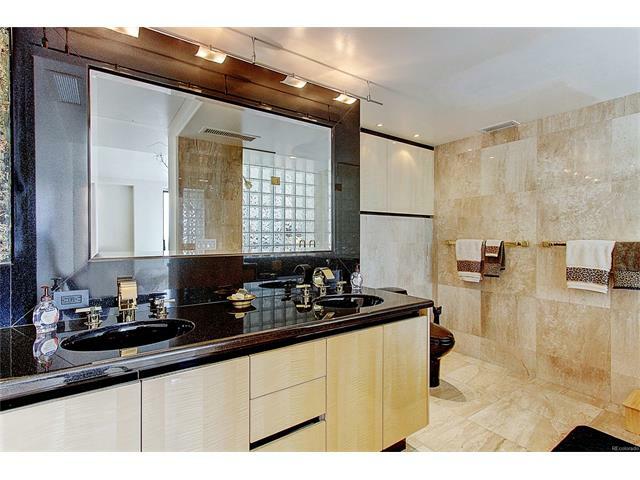 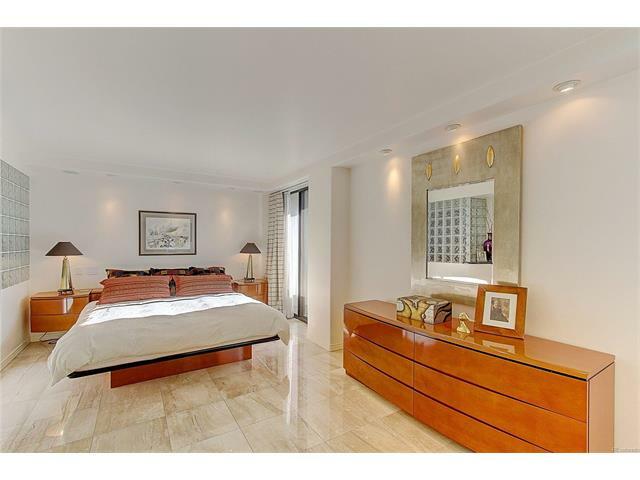 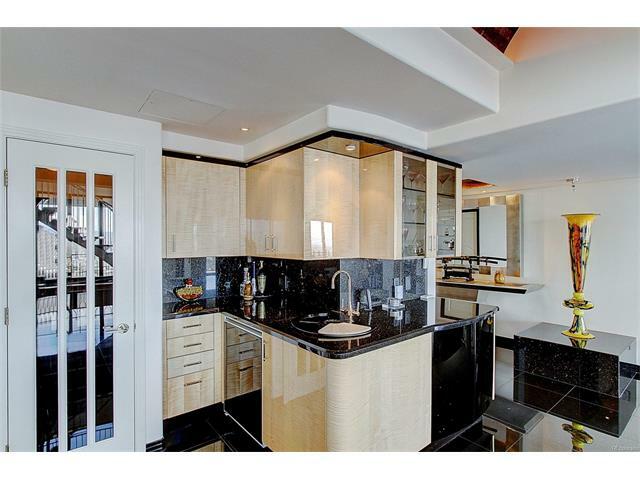 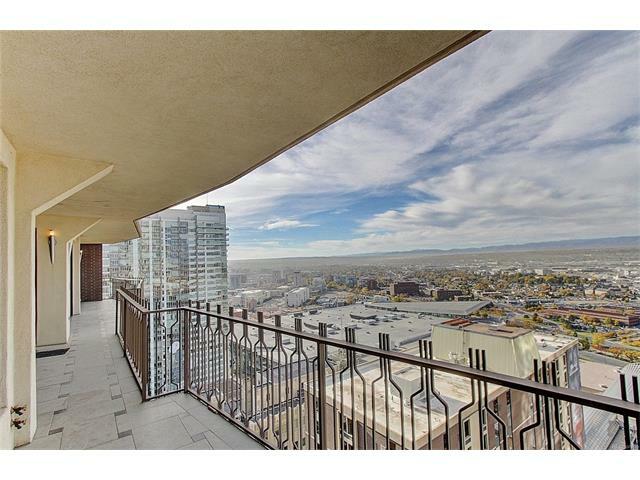 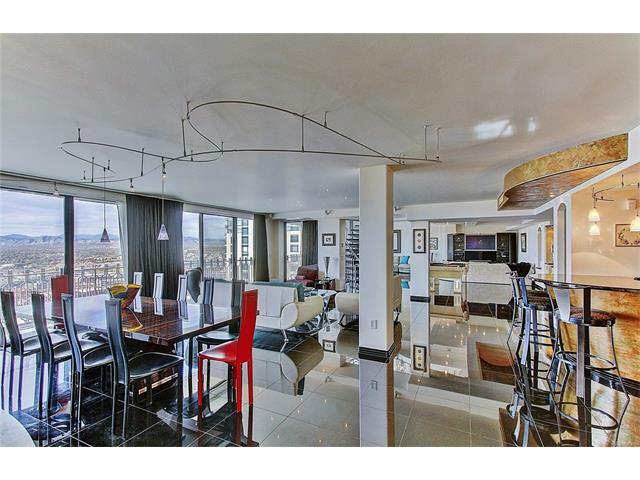 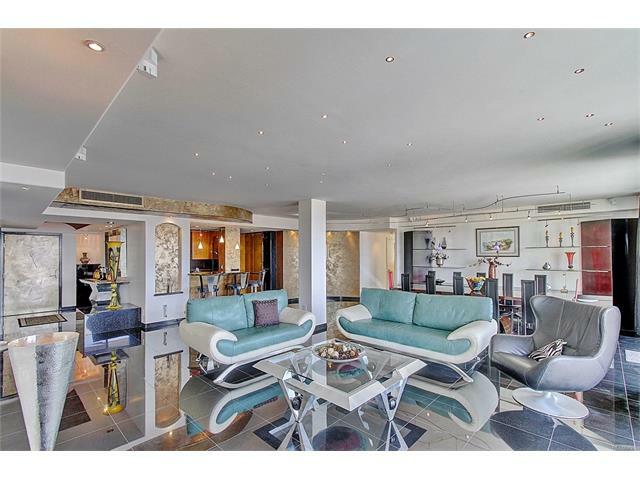 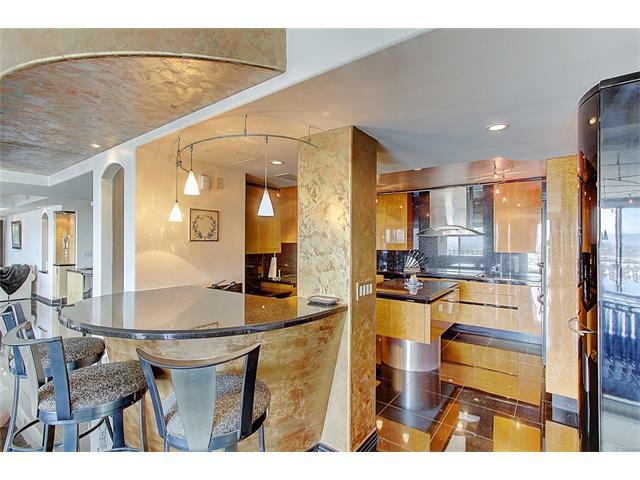 This Exclusive Penthouse Condo Has Been Crafted Into A Two Story Masterpiece. 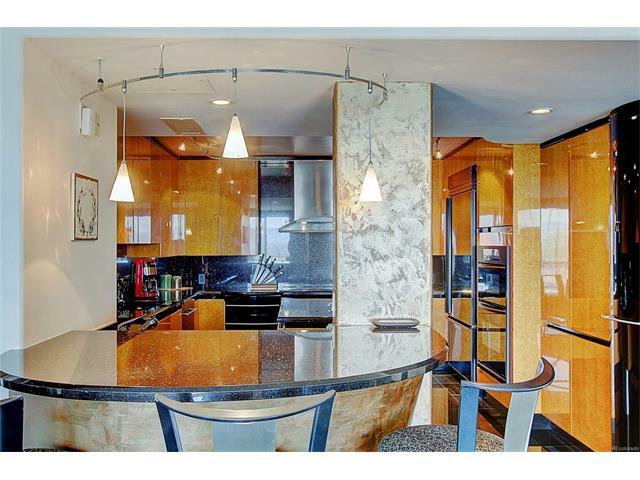 Every Detail Has Been Custom Designed By The Seller. 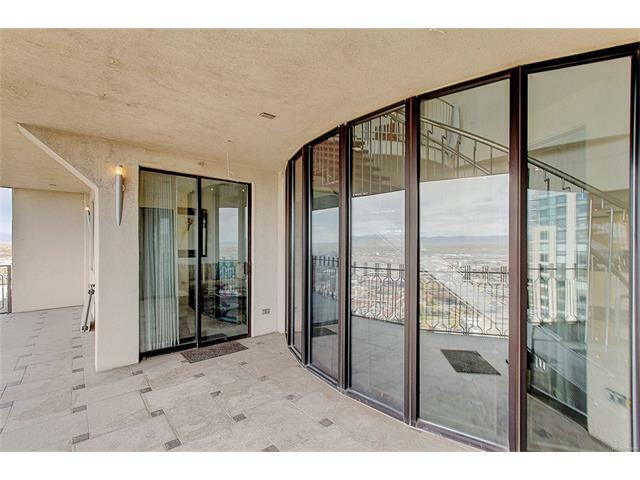 Italian Black Marble Floors Radiate The Outdoor Views During The Day and Custom Lights By Night. 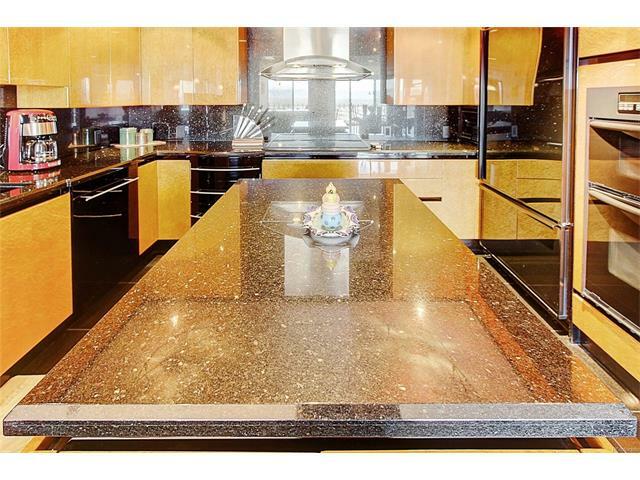 Galaxy Black Granite Countertops and Irpinia High-Gloss Cabinets Coordinated Throughout This Home. 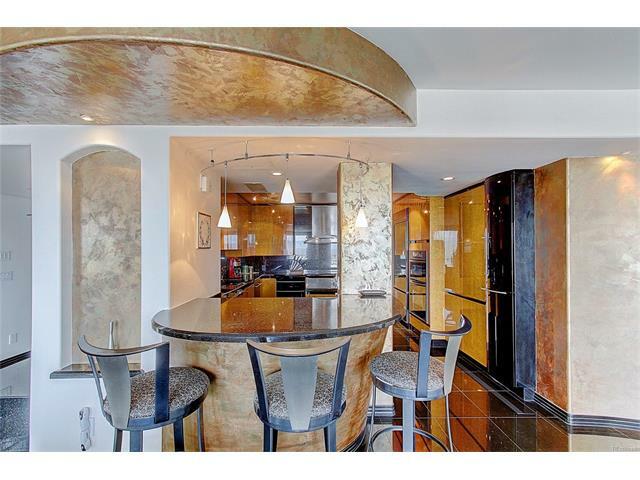 Faux Painted Ceiling Alcoves, Venetian Plaster Walls Through Main Living Space. 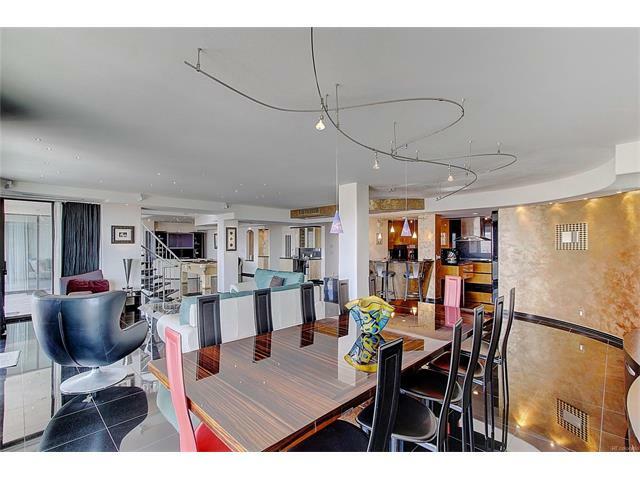 Modern Open Design Layout With Expansive Center Space and Vaulted Ceiling. 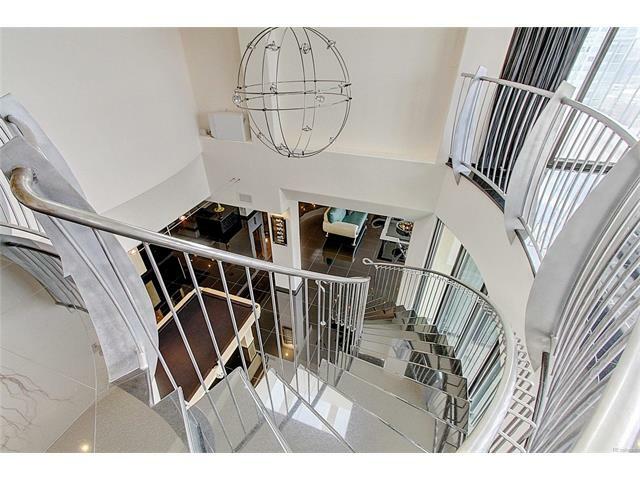 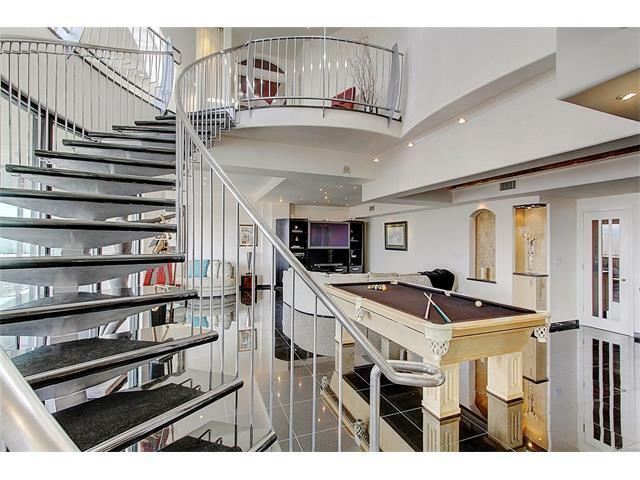 Hand-Crafted Floating Staircase Leads To Huge Master Suite With Loft, 5-Piece Bath, Walk-In Closet and Full Size Balcony On 43rd Floor. 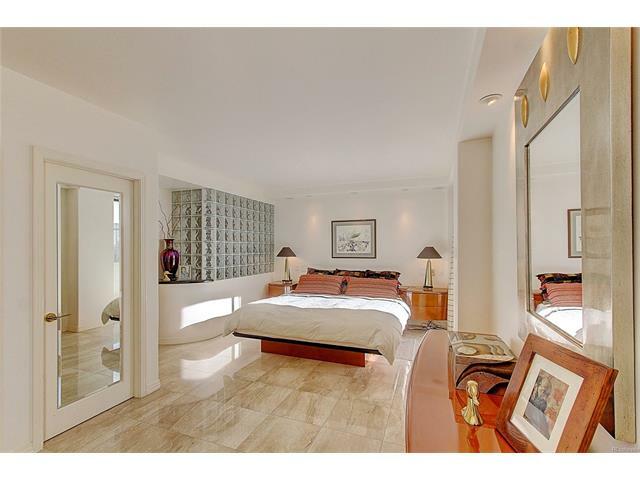 Guest and Family Living Space On Main Floor Include Both A Full Bath and Balcony In First Bedroom and Spacious 3/4 Bath In Second Bedroom. 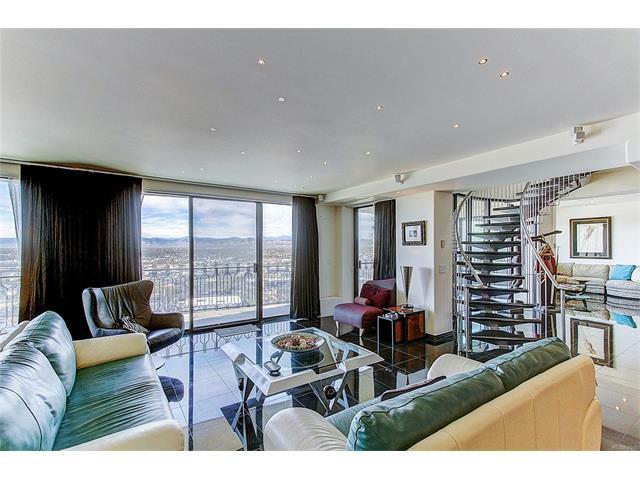 2 Side-By-Side Parking Spaces Are Offered With This Rare Opportunity For An Exclusive and Expansive Downtown Residence.